Most days you can find me reading books, sticking stickers EVERYWHERE and blowing bubbles with my two boys, ages 1 and 2! The things I am most passionate about in life are: Jesus, growing in wisdom and knowledge through reading scripture, my husband and two precious little boys, cultivating beautiful indoor plants, baking chocolate chip cookies for anyone who walks through my front door, and loving on women who have lost a baby. For those of you reading this, I so wish I could invite you into my home where we could sit, have a cup of tea with chocolate chip cookies or blueberry scones! I so desire to hear your story and the struggles of your heart. And I deeply desire to be a listening ear and offer the hope that is found in Christ! More than anything I want you to understand that Jesus is the only reason I’ve made it through this journey and why I’ve started Lilia Grace. We have two boys, Oliver (left) and Elliott (right). They love trains, musical instruments, and dancing to any song they can hear drums in. Those who know me personally know that when they come over to my house fresh chocolate chip cookies or blueberry scones will be waiting for them on my table. And if it is summer time, you can find iced tea to accompany the baked goods and during the winter, hot tea! I am addicted to buying water bottles, pens and stationery. And if you look in my Amazon cart, you will see about 10 books I will probably never read. The IKEA plant section is my BIGGEST weakness! I LOVE all the green things and one day I hope to have a HUGE sun porch where all my pretty plants can live. I don’t really LIKE coffee but will usually have a cup (a.k.a coffee with my cream and sugar) with my husband before he leaves for work in the mornings! My husband and I met in 2009. We dated, got engaged and married ALL within that first year! He was in the Marine Corps and I was a college student! I followed him to California (where he was stationed) and we have been pursuing dreams together ever since! One Thousand Gifts - Written by Ann Voskamp. I read this book during the season of our losses and it forever altered my view of grace the love the Lord has for us in all seasons of our lives. Gracelaced - Written by Ruth Simons. This is a new release and I have loved adding this to my quiet time. Each section is beautifully designed and takes you straight to the truths of the Gospel. I Will Carry You - Written by Angie Smith. I read this as well during our losses and the Lord used it as a turning point in my grief. She speaks hard but real truths about the grief we walk through when we loose a baby and it is just such a beautiful read! All the Light We Cannot See - Written by Anthony Doerr. This is an incredibly well written historical fiction novel that takes place during WWII. Lara Casey - Founder of the Powersheets but also fills her feed with beautiful truth! She speaks often of hard seasons she has walked through and I just know that you will be so encouraged by her! Ashley Campbell - She is a mama and her words are just so beautiful and so encouraging. Jess Connolly - Going to her feed is always like a breath of fresh air with a little hit in the gut to pursue the things God is calling us to do and to do it with fervor and passion! Young House Love Has a Podcast - John and Sherry are hilarious and so fun to listen to! This is by far my FAVORITE and most listened to podcast! Pairadocs - This podcast is amazing if you love learning about psychology and counseling! They cover lots of different topics and are full of information and gospel-centered truth! Dear Daughters w/ Susie Davis - Susie is someone I would LOVE to meet on this side of Heaven! She is a sweet mama to so many women and her heart to see women grow in their love of the Lord is so evident! 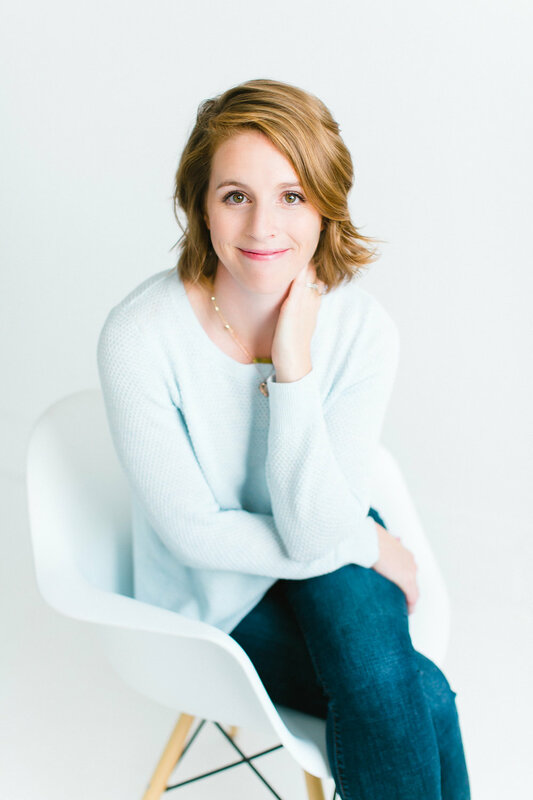 Goal Digger w/Jenna Kutcher - If you happen to be a business owner or wish to be one, this podcast is a must!